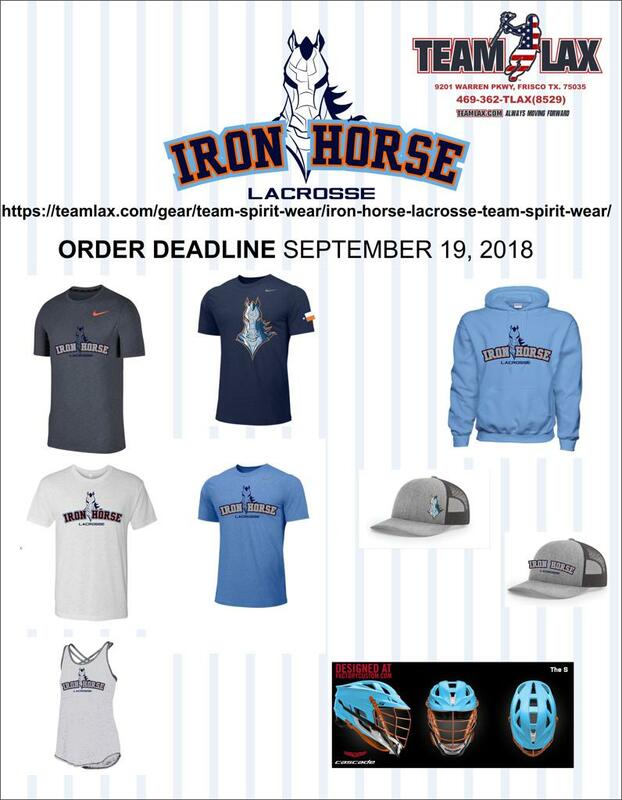 Team Lax in Frisco has their online store up and running. Please CLICK HERE NOW to purchase gear, spirit wear or helmets. All items will be shipped directly to you. There are 3 types of bags. 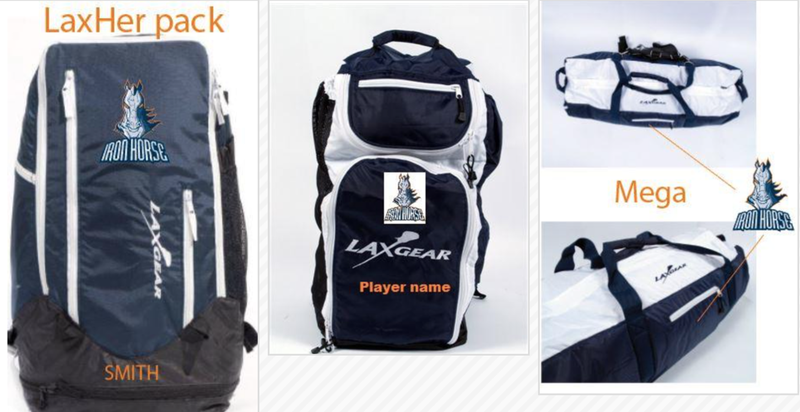 There is a girls lacrosse bag, LaxPack for him and a Mega Bag. The Mega Bag is the only one you can check on an airplane with your shaft inside (won't hold long poles or longer goalie shafts. The Mega Bag is the most popular for that reason. These bags are custom with name and logo embroidered on them. My college Sophomore still carries his with him to and from school (he has had his for 6 or 7 years now). The are very durable. These bags ship straight to you.